It's not your typical Tesla-killing-a-supercar drag race video. It is a drag race though. This one features an older Tesla Model S P85+ against a BMW i3. 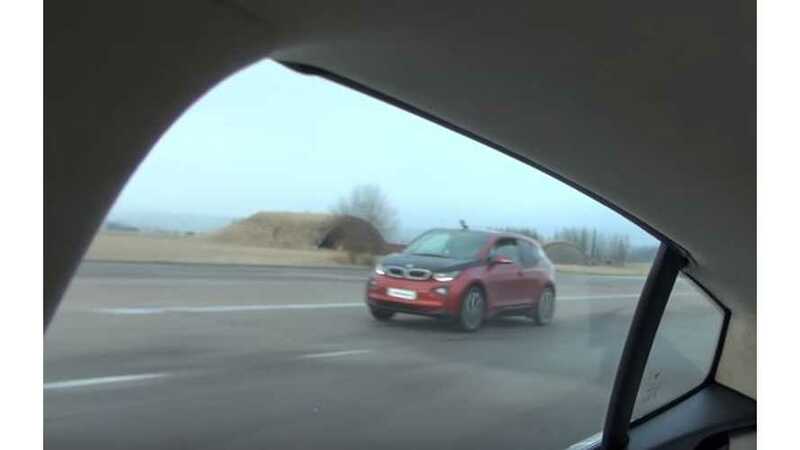 Unexpectedly perhaps, the i3 appears to get the slightest of jumps off the line. This is likely due to its curb weight that thousands of pounds less than the portly Model S.
But the i3's lead doesn't last for long. Within just a second or so, the i3 vanishes out of the side view of the Model S and then disappears into the background somewhere.